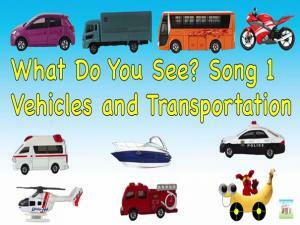 A short song for children to memorize the numbers 1-20 in English. 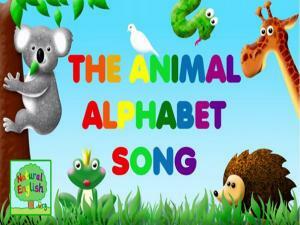 It is easy to memorize with songs and this song is perfect for young children. Do you know the song Old McDonald? 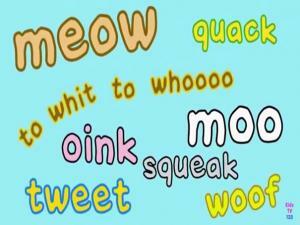 And do you know what all the noises the animals make? This is the same song that everyone loves but with a Super Simple twist! 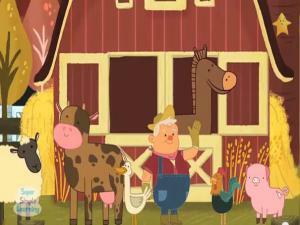 Watch the video and go with Old MacDonald as he visits all his animals on his farm. 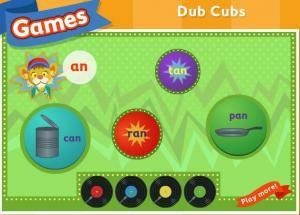 Head Shoulders Knees and Toes Nursery Rhyme has been one of the most popular kids nursery rhymes for years. 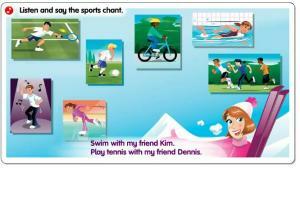 Here are the lyrics for Head Shoulders Knees and Toes Nursery Rhyme for you to sing along. It gets more fun as you go along, as one of the words is missed out in each new verse. See you if you can remember what it is and keep singing along. 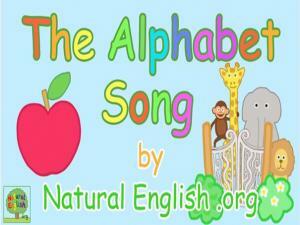 Listen to this great collection of Nursery Rhymes, including Head, Shoulders, Knees and Toes. 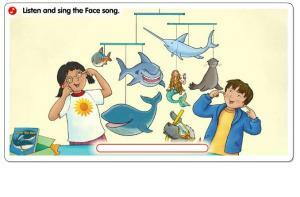 Watch the children and see which parts of the body they are singing about. A collection of 12 songs for you to listen to and practice your knowledge of vocabulary. Songs really help you understand the rhythm of English. 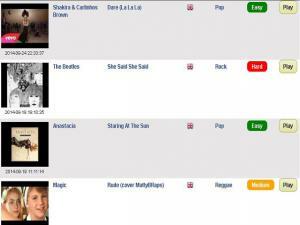 All these songs include the lyrics so you can see the words as you hear them. Topics include daily life, sports, school, transport and food. 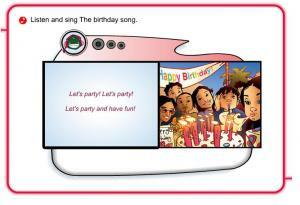 A very well-known, fun, song that everyone can join and do the movements to. Clap your hands, stamp your feet and turn around - can you do all three? 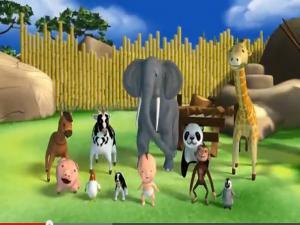 Listen, watch and sing along with the animals! Sing-a-long with Baa Baa Black Sheep! 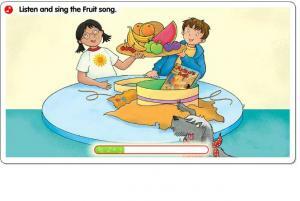 An easy, fun game for small children to follow and sing along to. 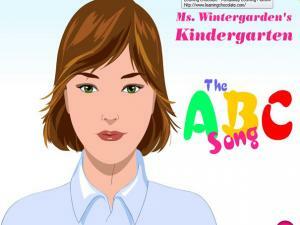 Listen to the ABC song and read along with the words. Each word is highlighted when it is sung. Repeat and join in yourself. 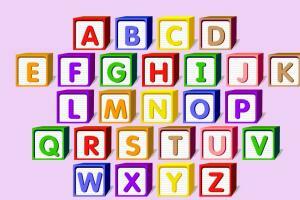 Can you remember the right order for all the letters? 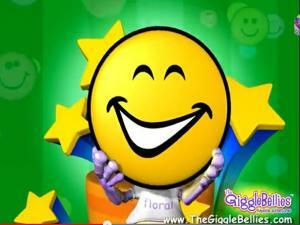 Get happy with this fun version of "If You're Happy And You Know It"! 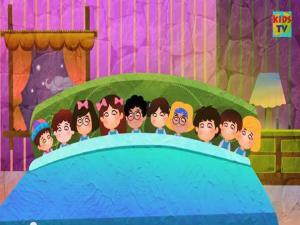 Kids sing and dance to this popular children's song and have some giggles along the way. 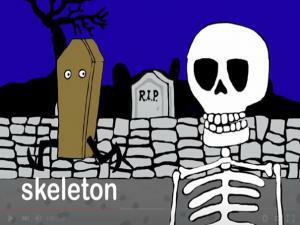 A very popular, fun, English nursery rhyme for children to learn and sing along to. 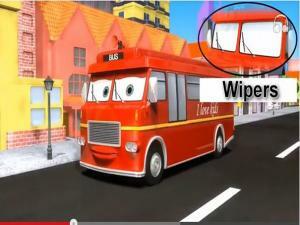 Look at the pictures of the different parts of the bus and the people on the bus to learn new words at the same time. 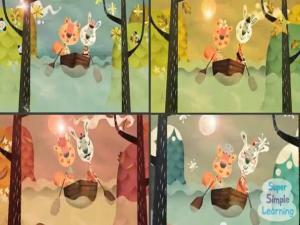 Short video song for children. Easy and simple but very lively. Row Row Row Your Boat is a classic kids' song. Enjoy our Super Simple version that is sung in rounds. You can also use the video to discuss weather and seasons by talking about all the different things you see in each scene. 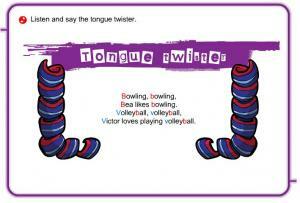 Tongue twisters are a fun and funny way to help you learn pronunciation. You will repeat the same sound many times so that the phrase becomes difficult to say! Hear examples at slow and fast speeds and repeat as necessary to improve your pronunciation. There are a few songs to help you with your pronunciation as well. 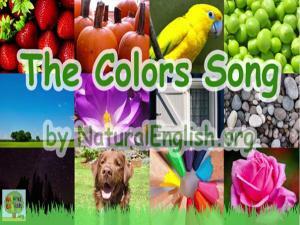 This page features 56 songs for children learning English with topics like colors, days of the week, sports vocabulary and the alphabet. 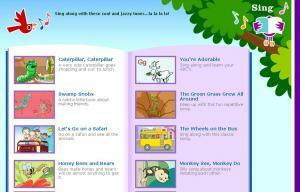 There is a range from elementary to advanced levels of songs and rhymes, including some of the most popular and traditional English kids' songs. A song about asking someone to be quiet. Teaches how to ask somebody for a favor. Good for children. This is a gap filling listening exercise using a song to help you improve your vocabulary and practise your listening skills. 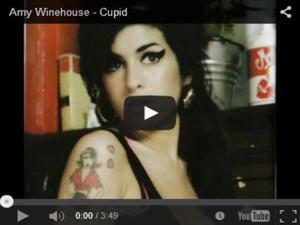 Click on the play button and listen to the video, then fill in the gaps of the words. A collection of 12 songs for you to listen to and practice your knowledge of vocabulary. Songs really help you understand the rhythm of English. Some tracks include the lyrics and others do not. Topics include food, sports and animals. A collection of 12 songs for you to listen to and practice your knowledge of vocabulary. Songs really help you understand the rhythm of English. All of the songs include the lyrics so you can read and follow along. Topics include the ABCs and animal stories. A collection of 12 songs for you to listen to and practice your knowledge of vocabulary. Songs really help you understand the rhythm of English. Some tracks include the lyrics and others do not. Topics include clothes, sports, food and animals. A collection of 12 songs for you to listen to and practice your knowledge of vocabulary. Songs really help you understand the rhythm of English. Some tracks include the lyrics and others do not. Topics include food, sports, animals and daily life. Practice saying How are you? 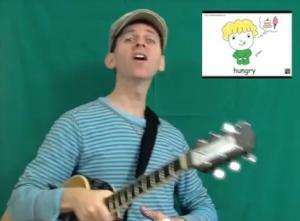 I'm happy, sad, hungry and thirsty with this song for kids. This is a fun, gap fill quiz that helps you practise your listening skills and use the present tense. 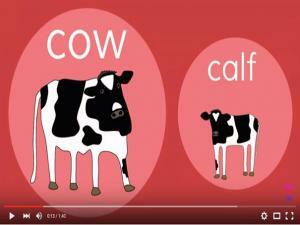 There is a video to watch, as well as audio, and the lyrics underneath for you to read through and fill in the gaps with the correct vocabulary. It is also a fun song to just listen to and enjoy! This is a fun video listening quiz. 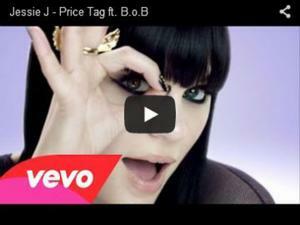 Use the song to help you improve your vocabulary and practise your listening skills. 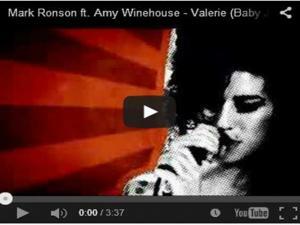 Click on the play button and listen to the video, then fill in the gaps of the words. This is a gap fill writing activity that will help improve your English grammar and listening skills! Listen to the song and then complete the gap fill exercise by typing in the correct word to complete the lyrics. 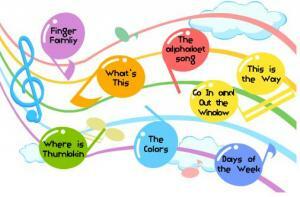 These songs are from the kids' show "Arthur." They are about kids' experiences across the United States are interesting for kids and perhaps useful for advanced adult learners looking for simple listening activities. There are transcripts available so you can read while you listen. 1 Hour of the best traditional Christmas carols and popular Xmas songs for children and kids with lyrics. Listen to the music, read the words, and sing along. Make sure to check your pronunciation! 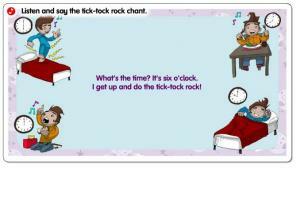 This sites offers a fun method to learn and improve your English through music and typing in song lyrics. Either choose the right level for you (Easy, Medium or Hard) or just the song you like to listen to! There are 5 different types of quiz to do for each song.